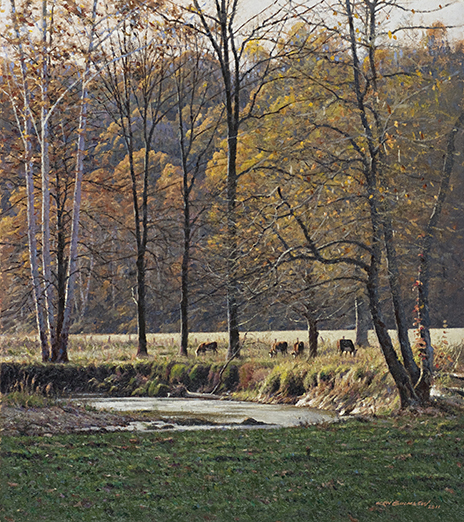 The last warm sunlight on a late October afternoon shines on some of Sam Ooley’s cows in this tranquil valley in the heart of Owen County. There’s a little known natural arch bridge over a ravine on the distant hill. Published December 9, 2013 at 464 × 522 in Artist’s Favorites Gallery.